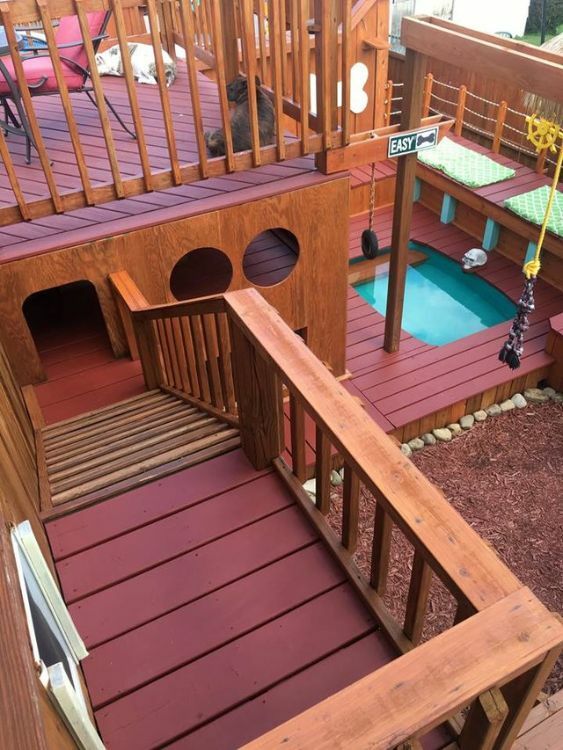 Aaron Franks of Pennsylvania loves his four dogs, Cooper, Mia, Tessa, and Bruno, and in his quest to give his pups the best of everything, he wanted to create the ultimate playground for them. The only problem? He didn't have any experience in building projects. 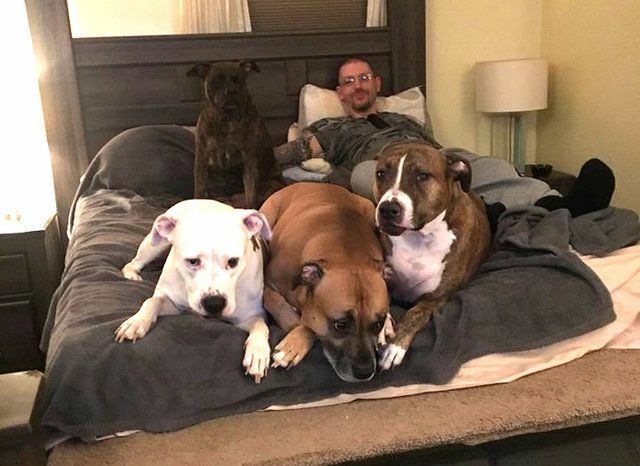 But he wasn't about to let the lack of a few skills get in the way of spoiling his dogs. 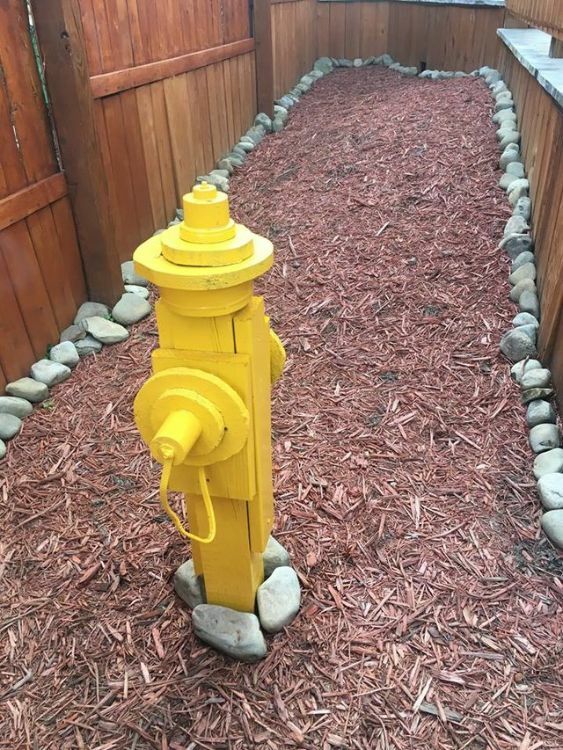 Two years earlier, Franks began the process of turning his backyard into a doggie amusement park. 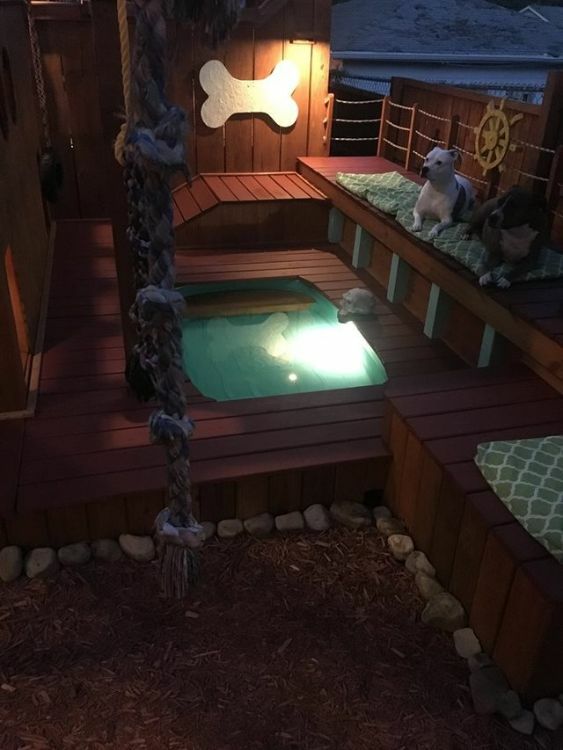 He decided that he wanted a pirate-themed pool, lights, running water and plenty of space for the dogs to run and play. Franks wasn't sure where to begin, so he just started the project and took it day by day. "It just came together as I went along. I just went for it," explained Franks. "I worked on it a little bit at a time, sometimes just a few boards a month. Every time I got a couple of extra bucks, I’d go out there and add to it." 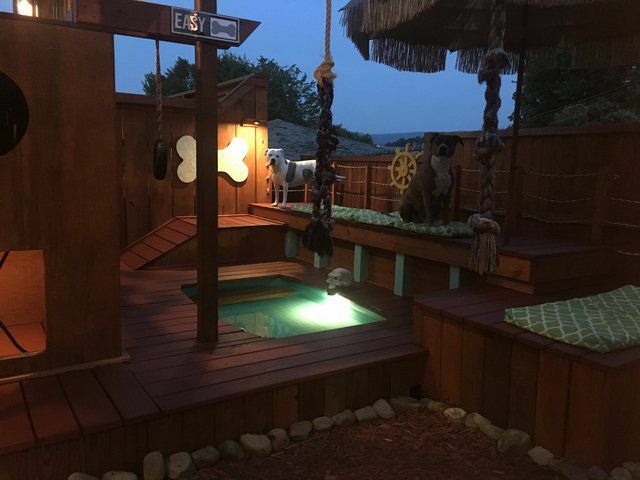 When completed, it become the ideal playcation for Franks' dogs, who of course absolutely loved the new setup. "There are three levels," Franks said. "The top level is my deck. When they go down the ramp, there’s a second level on the inside of the house where they can lay down and look out the windows. On the inside, there’s a staircase that leads down to the bottom floor. That’s where they can come out by the pool. There’s a separate room there also." 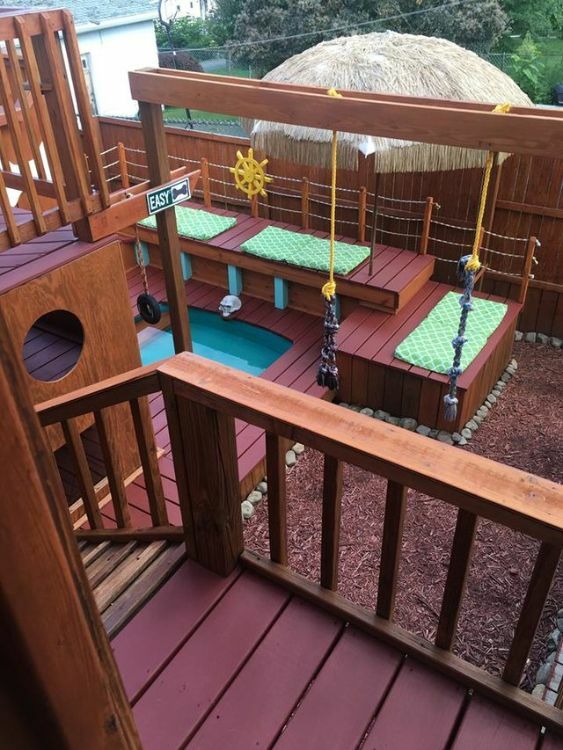 Aside from the pool and run space, the dogs have rope swings, lounging locations, and even an area to do their business! "They love it," Franks said. "My two older dogs lay around and hang out. They’ve got some new views now where they can see over the fence. For the two youngest, it’s like a romp room. They go down there jumping and playing around, swinging on the swings. It’s pretty cool." At night, the entire playground lights up. Franks is proud of his work, but he's even happier that his dogs enjoy the effort. "I feed them, I water them and walk them every day. They get their exercise and stuff, but I guess at the end of the day I just felt like it wasn’t enough," said Franks. "I felt like this would be a good way to show my love for them. It makes me feel good that I could do that for them." 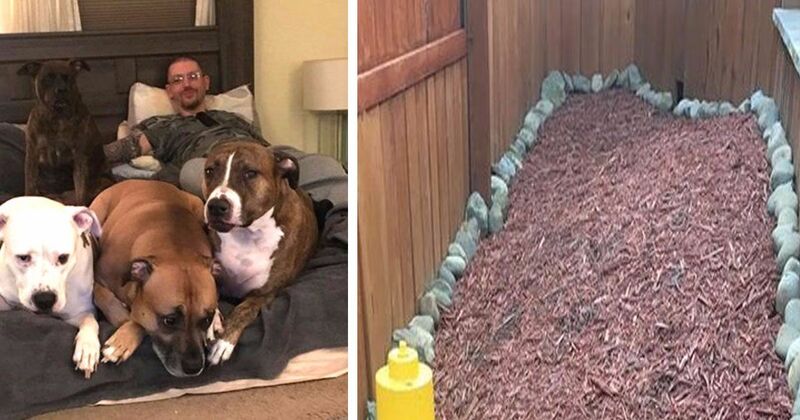 Franks' labor of love stands as a tribute to how much he cares about his dogs. 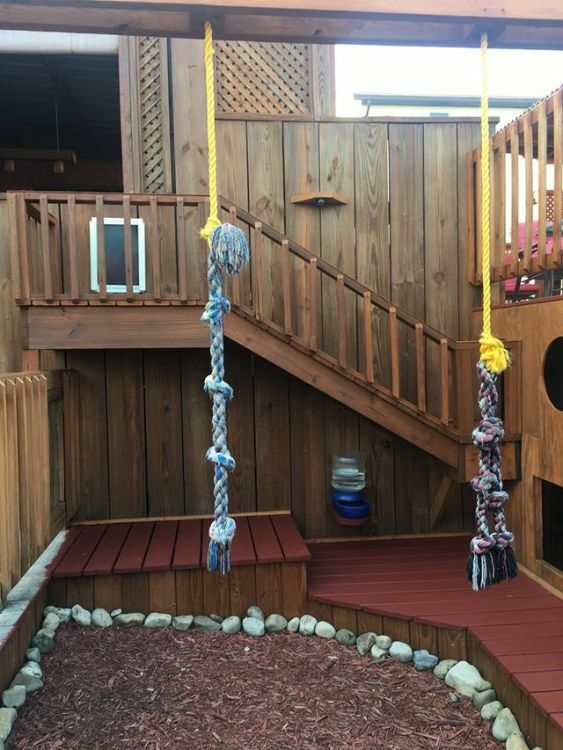 We hope these four pups enjoy their custom backyard for many years to come. Share this loving story with your friends and family on Facebook.